Just in case you think we (the DT members) don't struggle with CAS too, let me tell you where this cue card came from. One of us made a card for one of the upcoming challenges and uploaded it to the DT blog. She also asked us if we thought it was CAS enough. Let me tell you, it was a gorgeous card, and it was simply stamped, but it had very little white space. We agreed that it probably was not the best example of CAS and she went back and made another one. We thought it would be fun to CONTRAST between CAS and not CAS. Some of us have made two new contrasting cards for this challenge, but I (running out of time) went back through my old cards and found one that I could CASify (word trademarked by my friend Susan Raihala). Here's the original, from May 2013. Now don't get me wrong. I love this card. I love lots of non-CAS cards, but the point of CASology is to showcase CAS style. See what I did? I used the same sentiment, and all the colours (plus one more, actually), but I toned it down a bit. Left a lot more white space. Seriously, white space is THE key to any clean card (clean and simple, clean and layered or clean and graphic). But white space doesn't have to be boring and flat. In order to maintain the linear feel of the original, I popped the strip up and added a bit of interest. 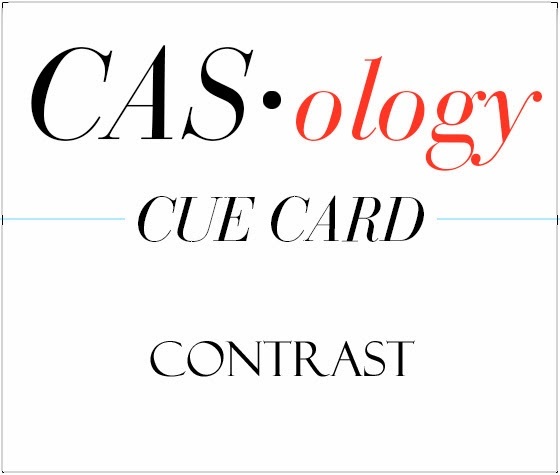 Anyway, that's where the Cue Card came from, but as always, you can interpret CONTRAST in any CAS way you like! Just remember to link up before the deadline next Sunday at 5:00 pm EST. Here are links to the other DT members' blogs - go see how they've shown contrast! Good explanation of the whole CAS thing! Another fun card! Love this contrasting example and explanation! Ardyth, what a great explanation of the cue this week and the story behind it! Your cards are both wonderful...I honestly love both versions. I agree, white space is the hallmark of any CAS card! This is such a cool challenge...love your more CAS version and your first version too Ardyth! Thanks for the CAS info. I know that there are a whole whack of us that likely have a stack of cards sitting 'on the fence', not quite sure if they are indeed CAS. Your post definitely helps to define CAS. Loved your story, and seeing the evolution of your card. I agree that your new one is CAS-ier, but I love them both. 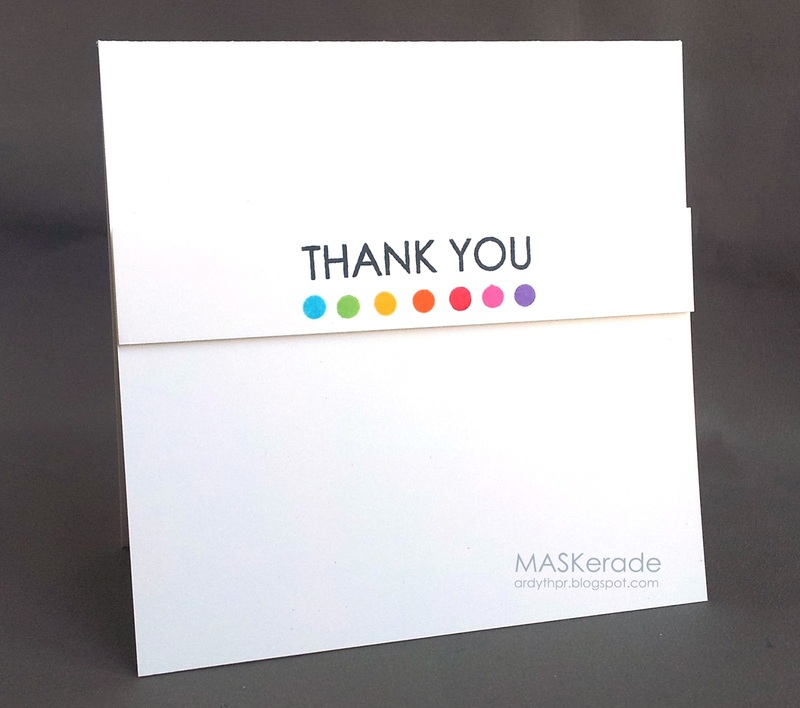 I think this is a super card - uber clean and simple and so you. Thanks for the back story too! I have to say that I love the original too! 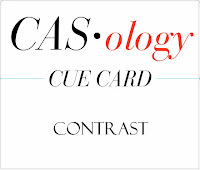 Thank you so much for your explanation of this week's cue card...I love your CAS version of the original, and it drives home the point beautifully! What a brilliant idea! 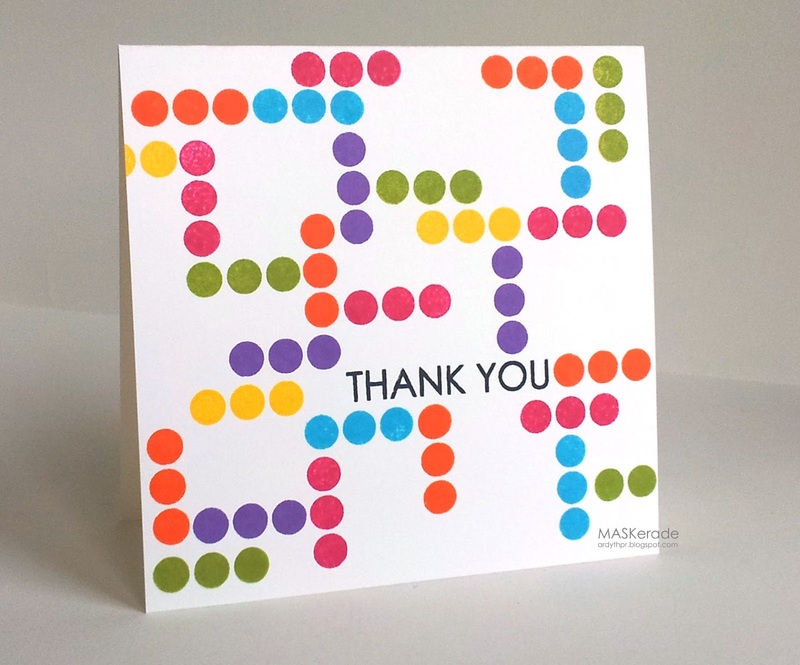 Love that you shared both cards because the first one was awesome, too! I think this is such a fun idea and I love your CAS version, all that white space makes me sing....well if I could!! I knew you as an amazing CAS cardmaker, but didn't know you made non-CAS cards too this amazingly well. Love both your cards Ardyth. Thanks for this inspiring post. Great CAS contrast card Ardyth - and informative backstory! I love how you simplified your original design. Brilliant! Awesome example of the challenge and I like your explanation. The popped up strip is a good tip and I also love the rainbow. I always start mine with red and go from there but I like how the red is in the middle of this one - still the right order but the red doesn't always have to be first! Must remember that! I heart these cards! They are so fun and simple, but speaks volumes! Wow...just so fun. I love both of them.